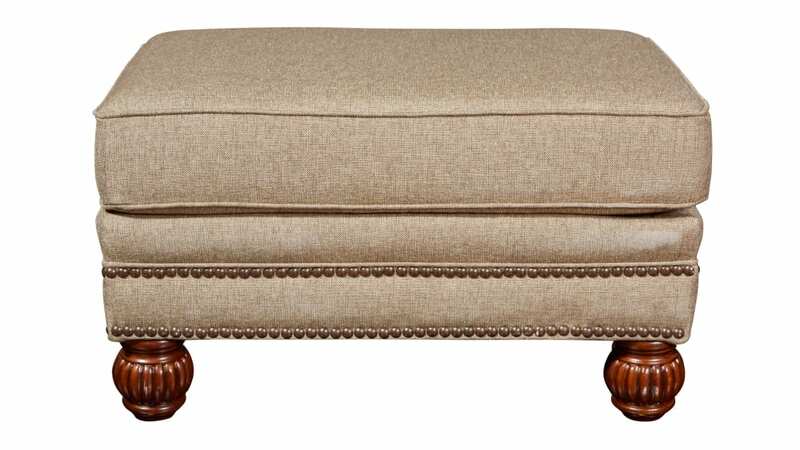 Prop your feet up on the stunning Made in America Palance Chestnut Ottoman! This beautiful piece features a beautiful and neutral upholstery, a quality wood frame, and expert design all carefully assembled by American craftsmen! This is the luxury you have been searching for, in a style that is unparalleled! Visit Gallery Furniture TODAY, and have your dream decor delivered TONIGHT!